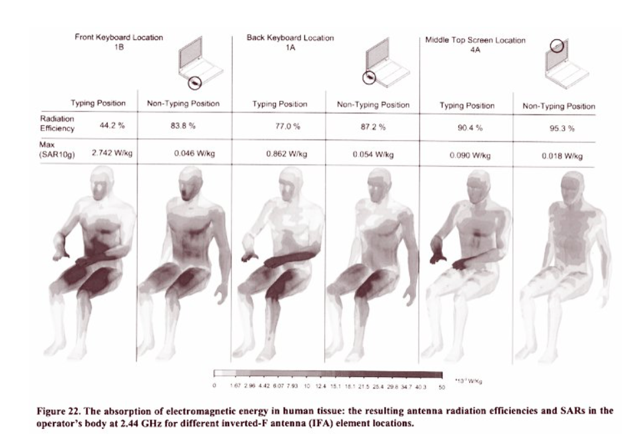 Many scientific studies show that long term exposure to electromagnetic fields (EMFs) from sources such as cell phones causes adverse impacts on sperm cells. These impacts include several types of malformation of sperm cell heads and reduced motility. While I have no idea how deep the absorption goes this first image clearly demonstrates what a laptop does to the front of the body. This image, from the third study shown here, shows sperm samples at 20x magnification. Human sperm count has dropped about 50% over the last 50 years. 2) Meta-analysis of 10 studies including 1492 samples. Exposure to mobile phones was associated with reduced sperm motility (mean difference − 8.1% (95% CI − 13.1, − 3.2)) and viability (mean difference − 9.1% (95% CI − 18.4, 0.2)), but the effects on concentration were more equivocal. 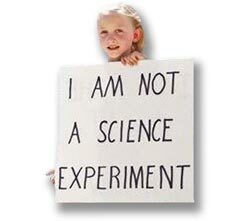 The results were consistent across experimental in vitroand observational in vivo studies. We conclude that pooled results from in vitro and in vivostudies suggest that mobile phone exposure negatively affects sperm quality. Fertil Steril. 2007 Oct;88(4):957-64. Epub 2007 Jul 12. Effects of cellular phone emissions on sperm motility in rats. Yan JG1, Agresti M, Bruce T, Yan YH, Granlund A, Matloub HS. To evaluate the effects of cellular phone emissions on rat sperm cells. Sixteen 3-month-old male Sprague-Dawley rats, weighing 250-300 g.
Rats in the experimental group were exposed to two 3-hour periods of daily cellular phone emissions for 18 weeks; sperm samples were then collected for evaluation. Evaluation of sperm motility, sperm cell morphology, total sperm cell number, and mRNA levels for two cell surface adhesion proteins. Rats exposed to 6 hours of daily cellular phone emissions for 18 weeks exhibited a significantly higher incidence of sperm cell death than control group rats through chi-squared analysis. 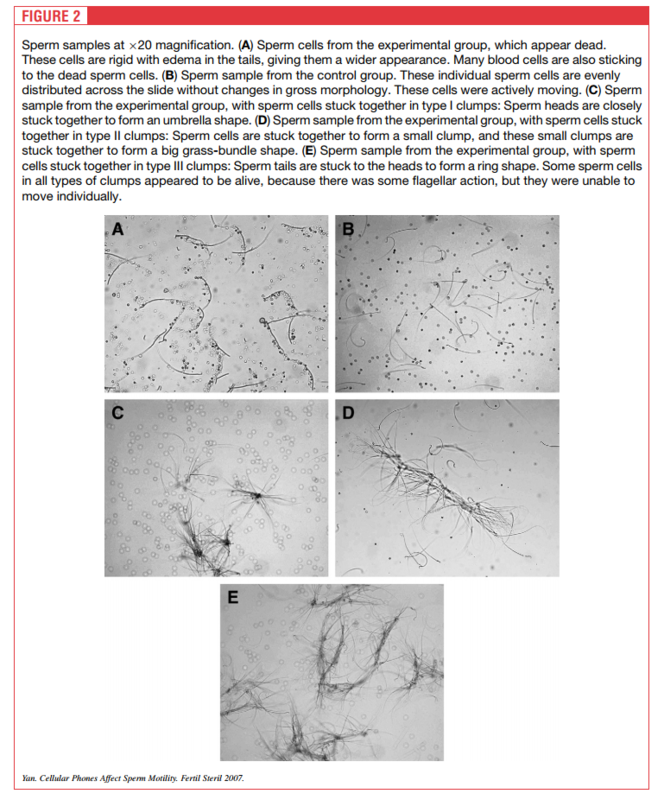 In addition, abnormal clumping of sperm cells was present in rats exposed to cellular phone emissions and was not present in control group rats. These results suggest that carrying cell phones near reproductive organs could negatively affect male fertility. Abstract The exposure of male mice to radiofrequency radiations from mobile phone (GSM) base stations at a workplace complex and residential quarters caused 39.78 and 46.03%, respectively, in sperm head abnormalities compared to 2.13% in control group. Statistical analysis of sperm head abnormality score showed that there was a signiﬁcant (p\0.05) difference in occurrence of sperm head abnormalities in test animals. The major abnormalities observed were knobbed hook, pin-head and bananashaped sperm head. The occurrence of the sperm head abnormalities was also found to be dose dependent. The implications of the observed increase occurrence of sperm head abnormalities on the reproductive health of humans living in close proximity to GSM base stations were discussed.